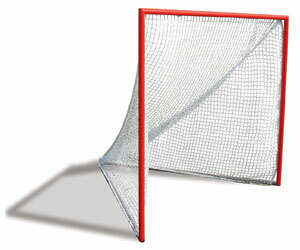 Sporting Goods - Made in USA Sports Equipment | First Team Inc. 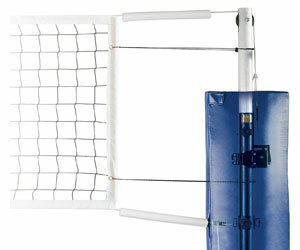 Proud manufacturer of American-made sporting goods for all levels of play. We've been making sports equipment in Hutchinson, Kan., since 1996 and pride ourselves not only on the top quality of our products, but on our friendly and fast service. 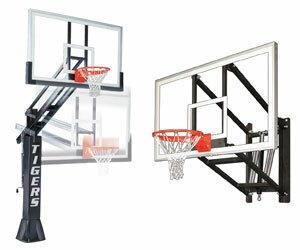 If you have any questions about our basketball hoops, soccer goals, volleyball sets or our other products, just call us toll-free or fill in our online question form. Catering to a wide array of sporting needs, First Team offers the finest equipment for soccer, volleyball, football and other sports, too. From seating to playing equipment and everything in between, there isn't a facet of the game that we can't help you with. Practice makes perfect. But it doesn't hurt to use the best equipment in the industry to polish your game until it gleams. 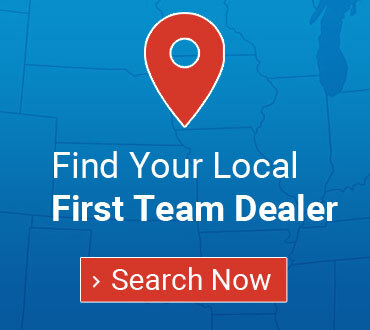 Whether you're looking for a new basketball hoop for casual driveway play or a complete setup for a basketball court that meets professional, NCAA and high school standards, First Team has what you're looking for and it's guaranteed to be built with care in America. 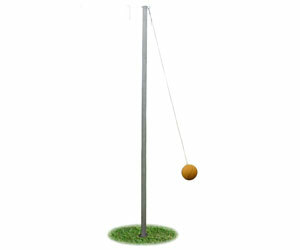 With models in our lineup that are suitable for indoor or outdoor play, and for use at home, on the blacktop or inside a gym, you can find a hoop for every level of play here. 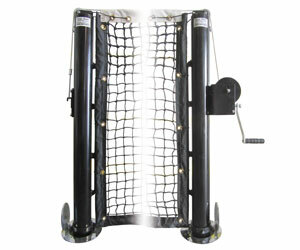 At First Team, we manufacture and sell a wide array of adjustable, portable and in-ground basketball goals. 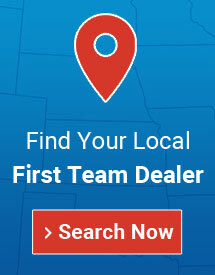 First Team is a leader in American-made sporting equipment. Our approach begins inside our Kansas-based factory , where you can get a firsthand look at our uncompromising dedication to using the best materials for our soccer goals, volleyball systems, football goalposts and much more. Simply pick a model in our lineup based on your sport and the level of play your equipment needs to be rated for. 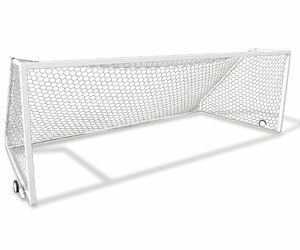 If you're in the market for soccer goals, we have portable, semi-permanent and permanent options. 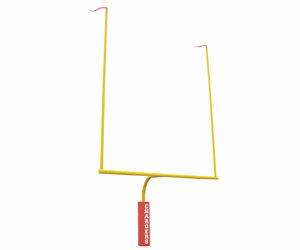 For the gridiron, our goalposts are made to spec for high school, NCAA or even professional play. 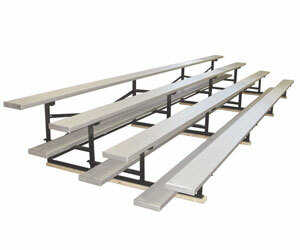 Off the field (or court), we have scoring and seating options to accommodate fans, staff and visitors. Your experience as a customer is our priority and you can expect the quality of our products to match the level of customer service you'll receive.